LG's mobile division is going through a rough patch. The Korean company even went as far as changing the head of Mobile Communications to try and turn things around, which led to postponing the LG G7 launch and instead bringing the refreshed V30S ThinQ to MWC 2018. 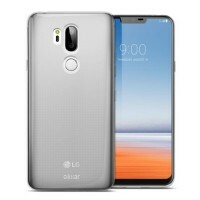 The ThinQ moniker stands for the new AI features that LG developed, and according to leakster evleaks, the long-awaited flagship will be actually named G7 ThinQ and will come with scene recognition features and detailed Google Assistant commands. Recently another tipster with good track record - Ricciolo1 said that owners of the 2017 flagship LG G6 will also receive the same features eventually. A software update should be issued in June, if his sources are correct. 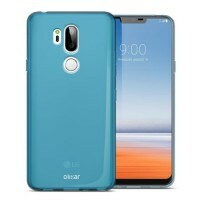 Previous LG G7 leaks suggested M+ LCD panel with a cutout for the camera on the top. 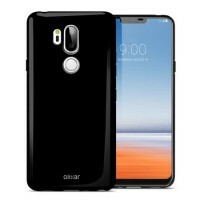 The phone should be a classic glass sandwich, packing a Snapdragon 845, 4 GB RAM and 64 GB storage for the regular variant and 6 GB/128GB memory for the Plus version. how to be iCopy, Essential PH-1 released in August.. Phone X in October, who copied it? Apple fanatic.. you cand google is the release dates. Hmm shouldn't this be called icopy?